"St. Rose High School is your home away from home." At St. Rose High School there is something for everyone and if it does not exist yet, students are encouraged to create it! Some clubs, like Ski Club, are just for fun, while others involve interscholastic competition. Students are invited to attend mass every Tuesday in the school chapel. The Freshman Retreat and the senior Kairos experience are both major events in students' lives that help steer the process of self-discovery. 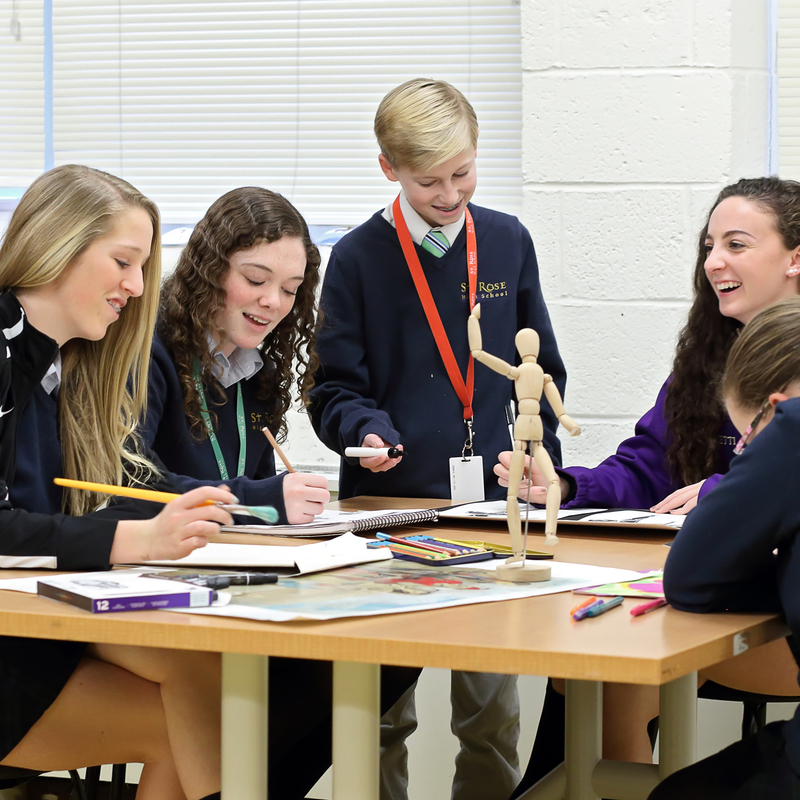 In between, classes in religion and spirituality and the pervasive spirit of the Sisters of St. Joseph are all part of every student's daily life. Please read on for more information on the Campus Ministry Program. Service is built into the Sisters of St. Joseph approach to education. 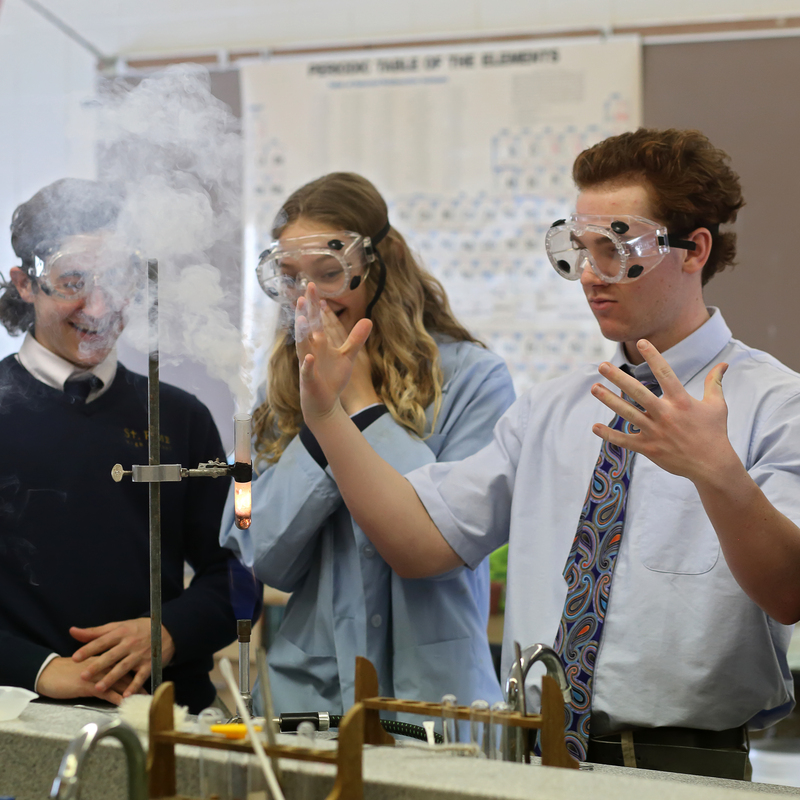 At St. Rose High School, it is a part of every student's experience. Whether they are reading to local youngsters from Our Lady of Mt. Carmel School, distributing Thanksgiving meals to neighbors, stocking the shelves at the Mercy Center or fundraising for Catholic service organizations, each student experiences the joy of giving. At St. Rose High School student service does not stop with the requirements of school. Students come up with their own ideas for service, find help from faculty to implement them, and take action. A book drive which raised more than 10,000 books for local elementary schools and the Student Council organized blood drives are just two recent examples of student-initiated service. For more information, visit our office of Campus Ministry.